Project 404 is a Scottish web design agency based in Grantown on Spey, a scenic Highland town sited within the Cairngorms National Park, halfway between Aviemore and Inverness. For the past fifteen years we have been known as Wazoo Design and Development. An expansion in the range of services we now offer, along with a change in premises, has motivated a change in name – and so now we are Project 404. Project 404 is a collective, a collaboration, a coming together of a group of digital media experts, encompassing a wide range of industry expertise, who all share a common ethos about the way we work and the high quality service we provide. Here at Project 404 we want to demystify the whole digital media experience. We don’t baffle our clients with technical jargon and we don’t offer a one size fits all solution. We learn about your business, develop a solid understanding of your digital media requirements, and work with you to make sure we build the perfect website for you and your customers. If you are a small to medium sized business looking to make more of your web visibility then Project 404 we can help. Our clients range from local businesses like hotels and distilleries to sporting estates and environmental organisations. We also work for larger groups such as charities, advocacy groups and international union organisations. Tim has been designing, building and consulting on website design since the early days of the internet. 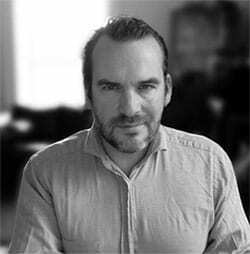 He has worked for some of the UK's leading design agencies working on projects for M&S, Barclays, The Post Office, BP, Macmillan Nurses, Guide Dogs for the Blind, and the Food Standards Agency. Since moving to the Highlands he has worked with smaller businesses and organisations helping them maximise their online profile. Tim has a BA and MA from the University of Durham. He is also a very good drummer and capable bass player. 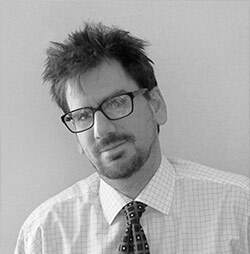 James is an experienced writer and over the past twenty years has been published on subjects as diverse as history, economics and transport policy. 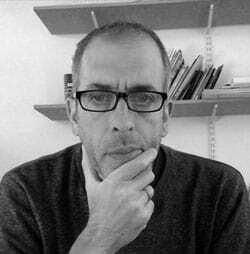 He has extensive experience of providing copy for the arts and entertainment industries across Scotland. James has a First Class Honours Degree and Ph.D in History from the University of Worcester. When he is not writing clear and persuasive copy, James is rumoured to write humorous novels and terribly witty radio scripts. Helen has been working in marketing and communications for over nine years and her client list includes arts organisations, charities, the hospitality sector and luxury goods manufacturers. She specializes in digital communication management, public relations and brand management. She has also been known to turn her hand to graphic design and plays a mean flute. 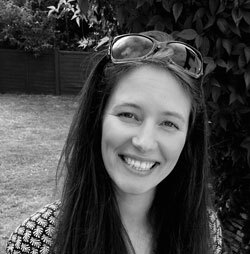 Helen has a degree in Music from Cardiff University and a Masters degree in Arts Management from the Royal Welsh College of Music and Drama. Justin's work for Aberlour Pharmacy is very much appreciated! He turns projects around quickly , reflects the pharmacy's principles and values in the designs and the invoices are always smaller than I anticipate. Highly recommended! After talking to a number of designers, Project 404 were chosen as they demonstrated they could interpret the brief in an imaginative and effective way. They have always been helpful and easy to talk to, making positive design and copy suggestions in support of our own ideas. When tasked with adding a further website to our portfolio, Tim ensured the look and feel, together with the desired integration, firmly met our needs. Since the sites were completed, Tim has been accessible and has made any changes needed quickly and accurately. As a rural Scottish business, online awareness and a positive digital presence is imperative. We have worked with Tim for almost 10 years now – well before the walled garden restoration project even began – and he has designed five websites for us in this time ranging from our original Gordon Castle information website right though to our current Gordon Castle Scotland brand ecommerce platform. Always on the end of the phone and able to help – his support has been priceless. There are few people who put up with my technological incompetence - Tim is one of them. He is very patient and super diligent at helping me promote myself and my work in a clear and accessible way. I love my website and so do many people who look at it as they all ask me who did it!! The Spey Fishery Board and the Spey Foundation have been clients of Project 404 for many years. We have been delighted with the professionalism and the personal approach adopted by the company. It is also most comforting to know that they are always there to provide after sales service and advice whenever it is needed. We would have no hesitation in strongly recommending their services to others. I cannot recommend Project 404 highly enough. They are an incredibly imaginative, caring and understanding team that works hard to understand the nature of a business and ensure that the website that they create fits both the needs of the business and those operating it. Ongoing maintenance and updating are also delivered with a level of care and attention to detail that we rely upon and really appreciate . Our business would not be where it is today without their help.